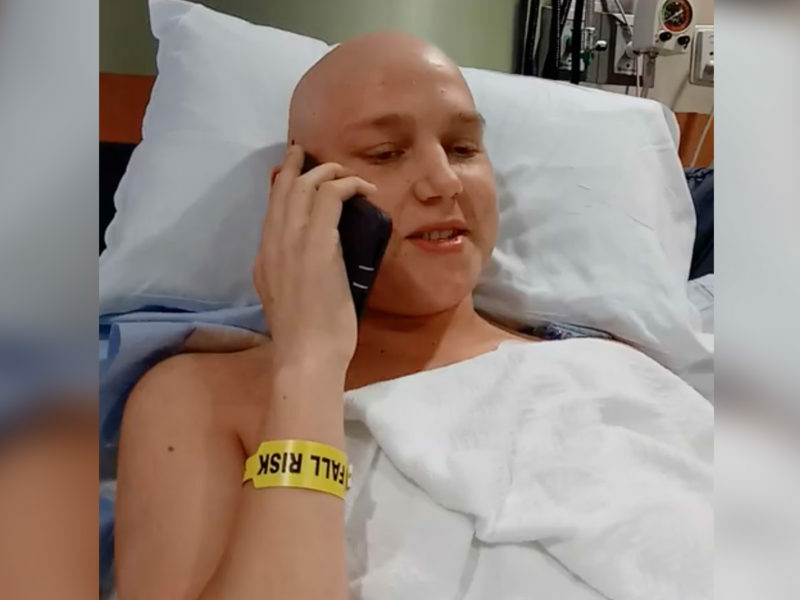 "Jeremiah wanted his life to count for others so he made a wish..."
On June 17, 2018, Jeremiah Thomas, a terminally ill teenager, was granted his dying wish to talk with Texas Governor, Greg Abbott on the phone, from his hospital bed, to ask him to end abortion in Texas. Gov. Abbott granted Jeremiah Thomas (16) his dying wish. He called Jeremiah yesterday and promised to help abolish abortion in Texas. Jeremiah shared his heart regarding abortion. He appealed to the Governor to protect preborn babies by completely abolishing abortion by treating it as murder and penalizing it by law in the great state of Texas. Prior to the call, the Governors wife, Cecilia, reached out to Jeremiah through Facebook. She sent prayers and hugs. They both demonstrated genuine Christian love and concern for the plight of our son. A proposition to abolish abortion also received the support of over 68% of Republican voters in last year’s primaries. Jeremiah Thomas died of cancer two months after the governor’s promise. Now, the legislative session in which Governor Abbott promised Jeremiah he would be pursuing to outlaw abortion altogether in Texas begins today, Tuesday, January 8. To carry on the legacy of their son, Jeremiah’s parents have produced a video and thousands of Texans watching it are signing a petition to join Jeremiah’s wish by urging Governor Abbott to keep his promise by making abolishing abortion an emergency item for the legislature. The petition is hosted by Abolish Abortion Texas.